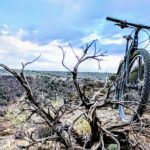 This newly minted IMBA Epic trail is consistently ranked the best ride in New Mexico. Over twenty miles of classic single-track side-hill wind through lush alpine meadows, cool pine forests and quaking aspen groves. Hire a shuttle to hack your ascent, or ride it like the locals: an all-day loop. A local gem that offers a short-but-sweet roller-coaster of punchy MTB goodness. Watch for horses around blind corners. What this intermediate trail lacks in diversity, it more than makes up for in scenery. The half that hugs the Rio Grande Gorge provides plenty of photo ops to take your mind off the few punchy climbs that’ll test your legs and lungs. Accessed from the Red River side of the mountains, this alpine adventure has it all: long climbs, talus slopes, alpine lakes, and ripping descents. Clockwise presents a more technical up. For the beginner biker, or someone looking for a meditative spin, these trails provide more than enough single track to get your blood pumping, and enough scenic overlooks to get your heart racing. 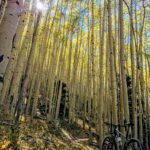 Experience the more technical side of Taos, including steep climbs, rock steps, and gaping hikers who can’t believe anyone is insane enough to ride this trail. This pay to play ($10 day, $50 season) area is the premier high-alpine workout in Taos. 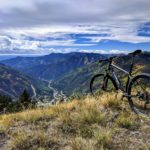 Its steep terrain is some of the most scenic riding in the area, and new trails are being added regularly. www.RideNorthside.com. One of the hardest trails to find in some of the most beautiful forest around. Hard climbing followed by insanely fast descending. You’ll never have more fun being lost. Take your GPS, and take your time — the network of old logging roads begs to be expanded into. 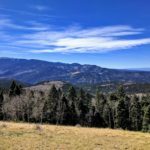 Help build trails in Northern New Mexico. Join IMBA and select TMBA as your chapter. Not ready for that much commitment? Sign up for our Newsletter to learn what's going on. Thanks for staying in touch. When you're ready to really get dirty, consider joining our chapter using the handy "Join" button. 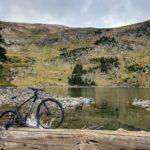 Just want to help create trails with no strings attached? Donate directly at any time.